Changing food preferences, lifestyles, tastes, and habits of the global population have bolstered the growth of the market for meat processing equipment. Developing economies such as China and India have been exhibiting enormous demand for meat over the last few decades. Industrialization, growing urbanization, Western influence on the food habits of Eastern consumers, and the growing disposable incomes of people have offset the growth of global meat processing equipment market. The Republic of Korea, China, and Brazil have surfaced as the major meat consumers among developing countries. The rapid growth of the poultry sector and the growing demand for beef in Japan, Saudi Arabia, Taiwan, Malaysia, the Republic of Korea, Mexico, and Kuwait are also influencing the demand for meat processing equipment. As more people are leading busy lives, they are spending lesser time in the kitchen. Various types of grinders, meat cubers or tenderizers, sausage stuffers, meat mixers, sausage linkers, and patty makers can process, chop, mince, and grind meat at a rapid pace with high efficiency. However, the global market for meat processing equipment might face impediments because of the increased risk of heart diseases associated with high consumption of meat. People worldwide are increasingly opting for vegetarian and vegan diets that are lower in cholesterol and saturated fat. Studies reveal that a vegetarian diet significantly reduces the incidence of chronic degenerative disorders such as diabetes, obesity, high blood pressure, coronary artery disease, and some types of cancer such as stomach, cologne, lung, breast, esophageal, and prostate cancer. However, as the livestock industry advances, the countries in Asia Pacific, the Middle East and Africa, and Latin America are likely to bear opportunities for growth. With the actions of slaughtering, processing, and packaging being core aspects of the meat and poultry industry, it puts the entire processing aspect at a very high regard in terms of presenting a valued edible assed to the food and beverages industry. The management of livestock and the packaging of meat aside, the processing of meats has evolved from a basic farm-based activity to the inclusion of corporates and globally strong entities that mass-produce meat. The demand for meat itself is the primary facet that has revolutionized the global meat processing equipment market, as the increasing demand has brought about the creation of equipment that are capable of handling large quantities of meat while maintaining the quality of the meat. 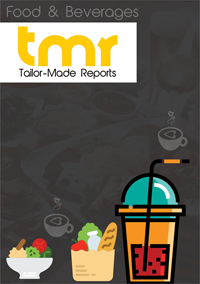 Of the many facts and figures analyzed in the report, TMR Research focuses on the global meat processing equipment market with respect to its basic categorization, regional assessment, and most importantly the competitive landscape. The latter has been dissected using tried-and-true industry standard analytics such as the SWOT analysis as well as Porter’s Five Forces analysis. The key intention of the report’s release is to allow a user to fully understand their position in the global meat processing equipment market and what they can do to strengthen it. The global meat processing equipment market can be segmented on the basis of the type of equipment, the type of meats being processed, the type of products being distributed and sold, and finally, a region-based segmentation. Quite a few strong factors are currently propelling the global meat processing equipment market, of which the leading one is likely to be the staggering demand for meat products and the high rate at which this demand is increasing. The common types of equipment manufactured for meat processing include the ones used for grinding, massaging, smoking, dicing, filling, tenderizing, blending, and cutting. Each type has its unique function and process type and the global meat processing equipment market is currently receiving a high demand for nearly all of them. The three highly common forms of meat that are processed are mutton, pork, and beef, and they all need different types of machinery to achieve a high quality of food processing. The product types that generally need to be provided on a commercial level include meats that are dried, cured, raw-fermented, precooked, raw cooked, and freshly processed. The key segments of the global meat processing equipment market on the basis of geography are North America, Asia Pacific, Europe, Latin America, and The Middle East and Africa. Among these, North America had been a high level consumer of meats over the years. Both North America and Europe have consistently held a very high rate of consumption of meat as a part of the daily diet and are therefore host to a vast number of key players from the market. At the same time, Latin America, The Middle East and Africa are expected to exhibit a phenomenal rate of growth in demand for processed and ready-to-eat meats, thereby promoting the growth of the meat processing equipment market within their countries. A somewhat similar scope of promise is shown by Asia Pacific, where the number of people eating meat is steadily increasing and so is the demand for ready-to-eat meats. The global meat processing equipment market has – over the past few years, been dominated by companies such as GEA Group AG, Key Technology Inc., JBT Corporation, Marel, Illinois Tool Works Inc., Heat and Control, Inc., and The Manitowoc Company, Inc.